It does looks like a futuristic astronaut helmet, sometimes it looks similarity with “American Football Helmet”, and also it looks like “Cobra Commander” in G.I. Joe. The N44 helmet is designed for urban riding and has a unique style that is suitable on any kinds of motorcycle. This helmet provides greater wide vision for the rider. The face shield of the helmet can deal with fogging and also it has a sun shield which has the protection from UV rays from the sun. 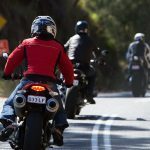 Also, the helmet can reduce and deal with road noises that most riders encounters along the way. It is also best known as quietest motorcycle helmet. Pros: The Nolan N44 Trilogy Helmet provides greater wide view of vision. The helmet’s Face shield can easily taken off and on. Also it has a Pinlock Technology that provides fogging resistant and a UV resistant sun shield. It is suitable in any season, it is good and usable during summer and winter season. 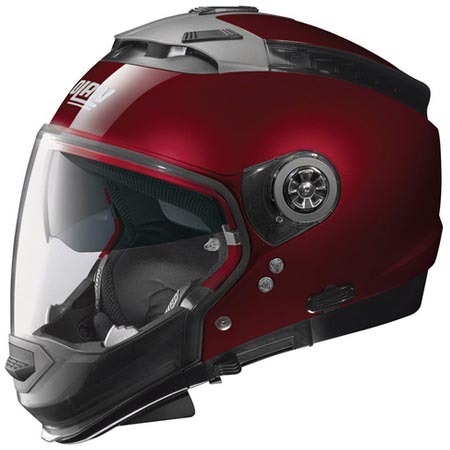 The helmet is available in any solid colors, and a combination of colors with solid linear designs which makes this helmet with a fantastic look. Cons: The interior liner of the helmet is removable and washable but it’s a bit difficult to remove the liner for cleaning. The top part of the outer helmet design is look like a hump but this makes balance of the helmet design. 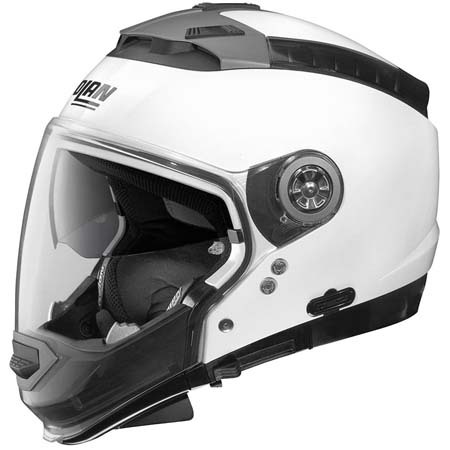 The Nolan N44 Trilogy helmet is a fully modular helmet type. It is the ideal responds to the needs of expert motorcycle rider and it is suitable to use for both summer and winter. The Nolan industry selects the high quality of materials building the N44 helmet that makes the shell more lighter and stronger. The N44 is approved and certified with DOT. Also, the N44 Trilogy Helmet is a modular type which provides high percentage of safety for any head injury when accidents occurs. Produced in two outer shell sizes of injected polycarbonate GE Lexan this will keep the helmets weight to a minimum and proportionate to the riders size. the dimensionally correct sizing allows ample cubic volume in the chin/nose area. 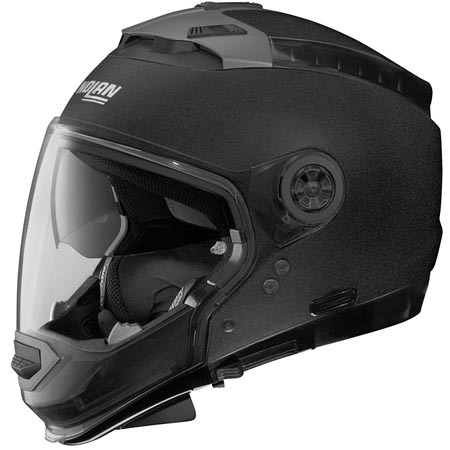 The helmet has innovative ventilation system that equipped with an air intake in the chin guard, an air intake in the frontal area and two rear extractors recycling air inside the helmet. The helmet includes internal sunscreen short dark shield mounted on inside of the shell and moving independently from the clear shield with external operation. This is also known as sun sheild that has a protection from UV rays from the sun. The helmet is equipped with Pinlock system which provides an anti-fog visor with silicone-sealed profile and an anti-fog insert. It has the new equipped Microlock2 system, that consists of a plastic ergonomic opening lever and a second aluminum toothed and holding lever which releases the micrometric stripthe chin strap that can only be opened with a very broad rotation of the opening lever. The Inner padding of the helmet is easy to removable and it is washable. It is also an anti-microbial and it is made of highly breathable, soft and fresh fabrics. This makes the N44 helmet more comfortable to the rider because it deals with bad odor. 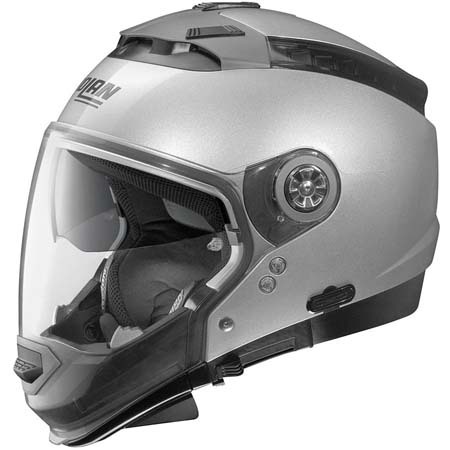 The N44 Trilogy helmet of Nolan is one of the best motorcycle helmet in this generation and it is popular both in the market and for motorcyclists. By its futuristic look design, the N44 helmet makes the rider suitable in any types of motorcycle and also it provides with awesome look for the rider. The interior shell of the helmet assures to provide great comfort and fit in wearing. In addition, the helmet is tested to be fit during longest ride and high speeding ride, also it deals with road noises making this helmet one of the quietest one. 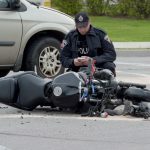 Wearing the N44 helmet, the motorcyclist can ride during different seasons, it can deal with fogs during winter and it has a sun shield with UV protection for summer. Also, this helmet is also known for lifesaver, with its quality it assures to protect the head of the rider.